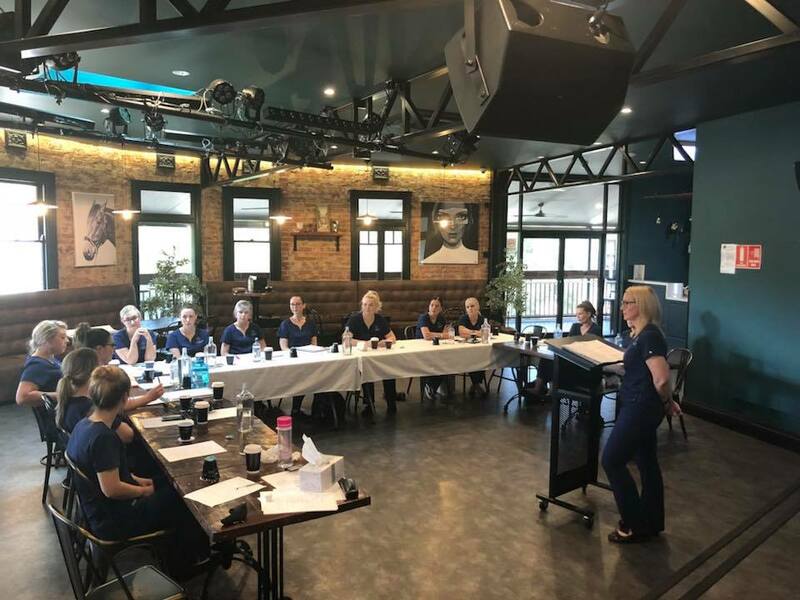 La Bella Medispa, located in the country town of Parkes has been a dermaviduals partner for the past 9 years (they were actually Derma Aesthetics’ first ever partner clinic!) and at the end of 2018 they qualified as our very first partner clinic to go Platinum. Their Platinum status is based on product sales, commitment to education & staff development, adherence to Corneotherapeutic principles and philanthropic endeavours. It honours our highest level of achievements. La Bella Medispa are renowned for delivering exceptional customer service, quality treatments and for their leadership within the skin industry. If you’re ever in the town of Parkes, chat to anyone in the street and it’s likely they have dermaviduals skincare in their armoury. We believe that what Rebecca and her team have created is incredible; a safe and empowering space for their guests to focus on self-care and skin health. She is a true business woman chasing her dreams to empower others. They know skin. The La Bella Medispa team are constantly updating their knowledge to bring their guests nothing but the best. We particularly love that they share their skin-nerdiness on their social media channels for all of their followers, near and far, to learn from! Rebecca has developed a strong following as The Skin Whisperer and has a series of podcasts and her SkinFit 90 programme has sealed her knowledge to be extended far and wide beyond the town of Parkes itself. They give back to their community. Rebecca herself has a strong focus on philanthropy and as such created The Ripple of Kindness Project. In 2018, she pledged to shave her head in solidarity with a friend fighting cancer and to raise $20k for two charities – CanAssist & Love Your Sister. Her kindness, spirit and generosity are certainly one of a kind. She smashed her target by $5k. This year, she is running from Parkes to Westmead Children’s Hospital in Sydney (which is 350km!) to raise money for the Bandage Bear Foundation, Carrie’s Beanies for Brain Cancer, the Leukaemia Foundation and CanAssist with a goal of $100,000. As a huge supporter of her social causes, dermaviduals will be behind Rebecca all the way – literally! If you’d like to support Rebecca’s run, you can donate here. Rebecca Miller is pledging to run from her home town in Parkes, all the way to Westmead Children’s Hospital in Sydney, to raise money for childhood cancer. Rebecca will cover over 350 kilometres in just 8 days, and the reason she’s doing it, will truly touch your heart. They invest in themselves. The La Bella Group close their clinics every quarter to focus on bettering themselves as individuals and as a team, always coming back to their core purpose of empowering women and educating them to love the skin they’re in. They are a genuine team that is led by a genuinely caring leader and this shines through in everything they touch. Our entire team are so proud of Rebecca’s achievements. Congratulations to our first ever Platinum Partner Clinic – we couldn’t think of anyone more deserving! Rebecca is an outstanding mentor and has adapted her formula to extend her brand across what is now three successful medispas- all while raising 3 children and showing her children that woman can achieve their dreams. We are grateful for all that you do in our industry Rebecca.